In Z v Y  HKCFI 2342 the Court of First Instance refused to enforce an award on public policy grounds since there was evidence to show that the underlying agreement had been “tainted by illegality”, and the award had given insufficient reasons for their decision to the contrary. Section 95 of the Arbitration Ordinance (Cap. 609) (“AO”) establishes the exclusive and exhaustive grounds by which a Hong Kong court may refuse enforcement of an arbitral award made in Mainland China by a recognised Mainland arbitral authority, including the grounds that it would be contrary to public policy to enforce the award (section 95(3)(b)). 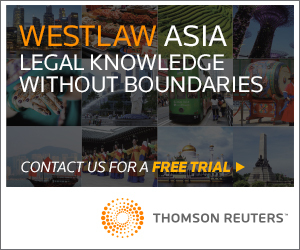 Although Hong Kong is a part of the territory of China, the courts apply substantially the same test to the enforcement of Mainland awards as to international arbitration awards generally. Consistent with their pro-enforcement approach, they apply the public policy ground restrictively. For instance in Hebei Import & Export Corp v Polytek Engineering Co Ltd  1 HKLRD 665, the Court of Final Appeal held that “courts should recognise the validity of decisions of foreign arbitral tribunals as a matter of comity, and give effect to them, unless to do so would violate the most basic notions of morality and justice”. Ten years later, in the decision of A v R  3 HKLRD 389, the Court of First Instance found that for such a challenge to succeed, there must be “a substantial injustice arising out of an award which is so shocking to the Court’s conscience as to render enforcement repugnant”. Perhaps the best-known recent decision is Gao Haiyan & Anor v Keeneye Holdings Ltd & Anor  1 HKC 335. In that case, the Court of Appeal dismissed the public policy objection to an award rendered as part of a PRC med-arb process which the first instance judge found to give rise to “apparent bias”. Importantly, the higher court agreed that “one might share the learned Judge's unease about the way in which the mediation was conducted because mediation is normally conducted differently in Hong Kong” but nonetheless determined that, because the procedures were common practice in China, there was no apparent bias and no public policy basis for refusal. A separate but related principle is that an award must be properly reasoned. 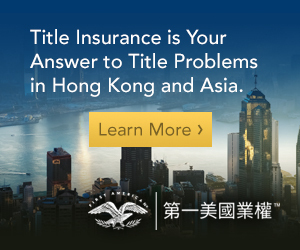 It is well established in Hong Kong that, in considering whether or not to refuse the enforcement of the award, Hong Kong courts do not look into the merits or at the underlying transaction. However, as a procedural matter, an award should show sufficient reasoning. In the case of R v F  5 HKLRD 278 the Hong Kong court set out the necessary scope of such reasoning. The Court found that the reasons given “need not be elaborate or lengthy, provided they could be understood in its proper context”. The underlying dispute in Z v Y arose in relation to a guarantee purported to have been signed by the Respondent (“Guarantee”). Under the Guarantee, the Respondent guaranteed a debt of RMB 10 million allegedly due to the Applicant by a Mainland company, HD, under supply contracts (“HD Contracts”). In a parallel arrangement, HD’s affiliate, MD, entered into supply contracts with the Applicant (“MD Contracts”) by which MD provided the Applicant the exact same amount and types of goods supplied by the Applicant to HD under the HD Contracts. Essentially, this was a back-to-back arrangement whereby goods passed from MD to the Applicant and then to HD. 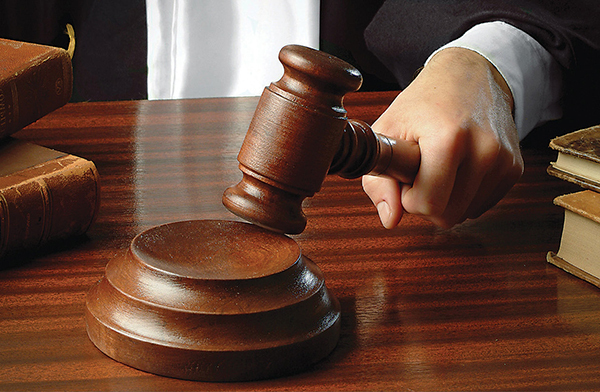 The Applicant commenced arbitration proceedings against the Respondent pursuant to the dispute provisions of the guarantee at the China Guangzhou Arbitration Commission. On 27 February 2017 it obtained a favourable award (the “Award”). On 28 August 2017 the Applicant obtained ex-parte leave from the Hong Kong court to enforce the Award (the “Order”), and subsequently, the Respondent applied to set aside the Order. Amongst other grounds, the Respondent contended that it would be contrary to public policy to enforce the Award since the Guarantee was void and invalid both under PRC law and Hong Kong law as the underlying transactions of the HD Contracts were illegal. Specifically, the Respondent contended that no goods or materials had ever been supplied under any of the contracts, and the HD Contracts and MD Contracts were sham arrangements set up to hide what in reality were loan agreements which the Applicant was not qualified to give as it was not a licensed financial institution under PRC law. The Respondent contended that the Order granting leave to enforce should therefore be set aside under section 95(3)(b) of the AO. For its part, the Applicant only pointed out that the Tribunal had dismissed the issue of the alleged underlying illegality of the HD Contracts and MD Contracts, when that issue was raised by the Respondent in the arbitration. In considering the application on public policy grounds, the Hon. Mimmie Chan J held in favour of the Respondent’s assertion that the Guarantee may be invalid, and set aside the Order. A key consideration was the fact that, whilst the Tribunal had determined these issues, they had not, in the Court’s view given adequate reasons for their decision. Chan J acknowledged that, following R v F, “[t]he reasons may be short, so long as the factual and legal basis is explained and the reasoning is expressed to enable the parties to understand how, and why, a finding is made on a material issue, and how a conclusion is reached by the tribunal”. However, in the present case, even this standard was not met. Chan J noted that the Tribunal had dismissed the Respondent’s case on illegality principally because HD's debt had been accepted by the trustee or administrator appointed for HD in its liquidation/bankruptcy. 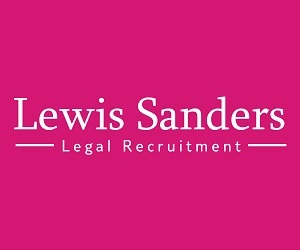 However, Chan J was concerned particularly that the Tribunal had failed to address witness evidence put forward in the arbitration from MD and HD’s Head of Procurement, Mr Y, who had testified to several suspicious circumstances surrounding the transactions, including the unusual and commercially unjustified nature of the alleged transactions. In Chan J’s words it was “unclear whether the tribunal had thoroughly considered the issues of illegality raised by the Respondent”, and she had “serious reservations as to the reasons given by the tribunal as to why the Respondent's claims were dismissed”. Accordingly, without adequate reasoning, the issue for determination had not been properly considered and determined, contrary to the parties’ legitimate and reasonable expectations. The Court therefore set aside the Order under section 95(3)(b) of the AO. Chan J also considered, but ultimately rejected the Respondent’s other grounds for refusal of enforcement, including that the Respondent lacked the capacity to enter into the Guarantee; that there was no valid arbitration clause contained therein; that the Guarantee was only obtained by inducement, duress, undue influence, misrepresentation, and/or deceit; and that the Respondent had not been properly notified during the arbitration procedure. 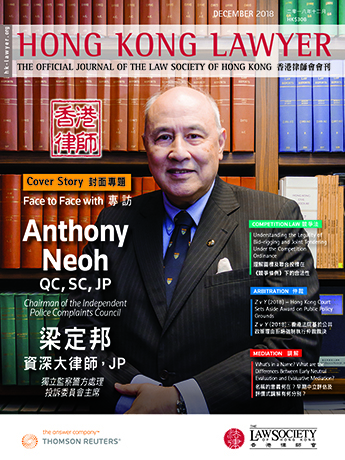 This decision strikes a balance between, on the one hand, the Hong Kong’s traditionally pro-enforcement stance as characterised by their refusal to re-open the merits of an arbitration award, and on the other hand, the priority they place on safeguarding the notions of fairness and justice, which are essential cornerstones to Hong Kong’s rule of law. It also marks a salient reminder to arbitrators and claimants alike that, although the courts will construe grounds for refusal of enforcement strictly, they will nonetheless be willing to set aside awards which are insufficiently reasoned. The authors wish to thank Mandy Yau, trainee solicitor at Peter Yuen & Associates (in association with Fangda Partners), for her assistance in preparing this article.